Clueless about big data? 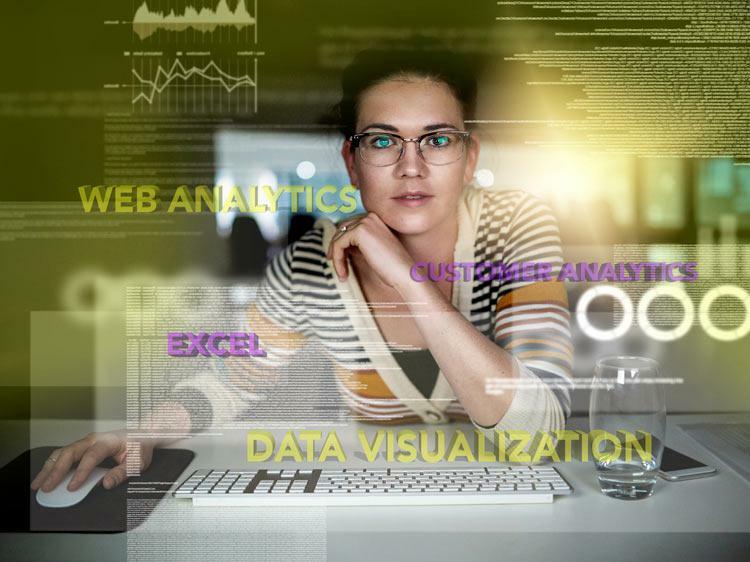 You can easily learn data skills—and become even more marketable to employers. It turns out, there’s a secret sauce to getting a job in today’s work force. Two words: data skills. "When you can demonstrate the ability to analyze data and make informed recommendations to your employer, you become an indispensable part of your team no matter what type of work you're doing," says Mirjana Schultzat, president at technology staffing firm Instant Alliance. Data skills are so in-demand, they’re becoming increasingly useful in a number of fields—not just technology and finance. Marketing, human resources, sales, and customer service are just a few areas where your expertise can make a big difference to your job performance. That doesn’t mean you need to be a Silicon Valley whiz to develop the data skills that will make you more marketable to employers. In fact, some of the tools you need are most likely already on your laptop. This is an obvious one, but it’s worth mentioning, given that proficiency in Excel is one of the key skills to landing a good-paying job, according to a recent labor-market analysis by Burning Glass Technologies. It’s also relatively easy software to learn. “For entry-level workers, Excel is one of the most user-friendly tools on the market,” says Schultzat, adding that it enables companies to record and analyze a broad range of data. For example, some companies use Excel to track expenses, whereas others use it trace employees’ sales performance. Not sure your Excel skills are up to par? You can take a free Excel course on Udemy.com. Web analytics is about collecting online data and using it to understand your customers better. Common web analytic tools include Kissmetrics, Mixpanel, and, most notably, Google Analytics, which let companies track and analyze website traffic. These consumer insights can help improve everything from customer service to product development. A news website, for example, can use Google Analytics to see what stories are generating the most traffic and determine the best ways to produce more of them. Ready to start measuring data? The Google Analytics Academy offers free lessons from Google measurement experts. Schultzat describes data visualization as being able to transform information into helpful visual presentations. “When done well, data visualization tells a story,” Schultzat says. “By turning findings into graphs and charts, you make information more digestible,” Bradford explains. Visual storytelling skills help employees make persuasive presentations to clients and executives, says Laurence Bradford, creator of the learntocodewith.me blog and podcast.. Even an entry-level salesperson, for example, could create a line graph to show his or her manager how their sales improved from month to month. Like web analytics, customer analytics enable companies to organize data and study customer behaviors. Not limited strictly to online behavior, customer analytics is used across various industries to create direct marketing campaigns, improve performance, and maximize customer satisfaction. Companies that use customer analytics can boost their bottom line substantially, as shown in a study by McKinsey & Company. If you develop the skills to analyze and interpret this data, you could increase your value within your company.